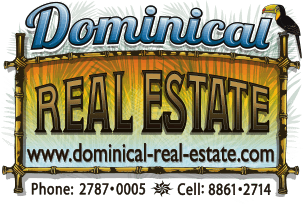 This is a great investment opportunity just outside of Dominical in the hills above Hatillo. The 15 acre property is 9km to the beach but also has access from Platanillo as well as Lagunas. It takes aprox 40 min to get to the beach, 30 min on well maintained gravel roads and 10 min on a paved road. There are already 3 ocean view building sites and 4 mountain view building sites. The views are spectacular with white water ocean views to the west and the biggest mountains in Costa Rica to the east. You can watch the sun rise and the sun set!! This property would also be perfect for someone who wants to get away from it all or build a nature retreat. It would also be great for a group of 7 friends. For a very small investment they could each have a building site and build a small eco community. Or someone could segregate and sell the lots individually for profit. The property is a mix of primary and secondary forest full of monkeys, tucans, and other wildlife. It is also very close to some amazing rivers and waterfalls!! This is a great property at a great price!!! OWNER FINANCING IS AVAILABLE, PLEASE CONTACT US FOR MORE DETAILS! !